The product Training VR is a tool aimed for technical training in the virtual reality environment. It is based on realistic perception of both the environment and the training processes and it offers fast and detailed coaching within any industry. The system consists of a hardware solution, a VR head mounted display and an application software. Each solution is one-of-a-kind for the best effect of the virtual training. The content is developed for each client individually and optimized for the required training output. The construction of the virtual environment is prepared using various methods, to make it as realistic as its actual physical original as possible. Herewith, it is easier for the trained person to be able to apply the learnt content in real life. All the virtual environments are crafted in the exact scale with the help of various imaging technologies. The constructed 3D models are then imported into the VR environment, where they‘re tweaked for the highest level of interaction. The Training VR solution offers the possibility to create an account for any number of users. After the login, the user enters the fully interactive training environment. To get access to all the administrative tools, the software comes with an administrator account by default. From this account any training mode and any process from the lists can be started. The way of interaction is individual according to the training technique. The interaction is optimized for the environment and the objects, with which the user interacts in VR. It is therefore possible to orient the solution on the heavy industry (interaction with enormous objects), but at the same time on a detailed work of assembling miniature mechanisms. There are lots of solutions for the interactivity – actions as grasping objects, assembling and disassembling are a matter of course, but it is practically possible to simulate any mechanism and use it in the virtual training. Interactivity with the actual physical environment is limited by the existing devices. The controlling devices are the part of the VR equipment by default, but the new solutions, new devices and new tools are being tested immediately after they become available on the market. The software offers the option of the custom-made operating tools. Depending on the requirements, it is possible to develop a new tool (example: a special device with more control elements or a specific shape that is necessary for the training application). EDU is the basic mode for the trainee, where individual steps and actions are described, that are supposed to be mastered within a particular process. The mode offers active suggestions directly in the VR scene, both written and rendered, advising the user on how to advance in the training. Example: The object that is supposed to be used is highlighted in the scene, as well as the destination where it is supposed to be installed. In case of heating / freezing action, the user is informed about the temperature that is required for the operation. In EDU mode, the trainee follows one process after another. Every process is divided into tasks to make the overall training as effective as possible for the user. The trainee can’t skip the processes or jump from one to another, they need to be followed one by one where only after finishing one process the next becomes available. TEST is the second fully interactive training mode, only with no written instructions or visual helping tools. In the TEST mode the user’s actions are evaluated and compared with the optimal solution, considering the time, the effectivity and the error rate. The software offers an option of a real time check. Each action of the user is monitored and evaluated by the system running in the background. Based on the optional requirements, the trainee may receive information about the wrong steps taken, as well as the instructions for the correct solution. Example: If the mounted part is incorrectly oriented or the user is using a wrong tool, the system sends a warning automatically and provides the trainee with instructions either by visual navigation to the correct tool or an explanation of the solution. A new option in the software solution is a custom visual of the trainee in the virtual environment. By default, the user is personalized only by the physical controllers visible also in the VR environment, and the position of the user‘s head, not rendered by default (note: the head is visible only within the CO-OP system, which is a multi-user environment, where the users need to see each other). If the whole body of the user needs to be visible in the VR environment, a secondary hardware solution needs to be used, which brings the possibility to interact with the whole body (in this case it is possible to interact with the objects within the VR environment not only with hands, but also with legs or torso). Not to avoid the human factor in the training system, the software offers a possibility of supervision of the trainee by a third person, who is able to monitor the training from different points of view (as a third person, from pre-defined views in the environment or through the eyes of the trainee). The supervisor is also able to communicate with the trainee via audio, while monitoring his/her steps in the VR environment. Another option based on the CO-OP solution is a supervision directly in VR. The third person is able to take part in the virtual environment next to the trainee and communicate visually in real time. The mentioned solutions offer the supervisor the possibility to monitor more trainees simultaneously, while being able to give instructions individually or collectively, or even to log in to the VR environment with the trainee for direct communication. The standard software solution contains the environment for one user – “SOLO” training. The user is trained individually, all the actions are prepared for one person and it is possible to simulate the whole training without any other co-workers, even if in reality the teamwork is inevitable. The CO-OP solution offers the possibility to login several users into one virtual environment at the same time and to simulate the actual teamwork. It is particularly advantageous for the workers, who are dependent on the work of the other, for example on an assembly line. During the TEST mode, the software saves the data, evaluates the user and creates the statistics of his/her effectivity. The scores and the assessment of each process are elaborated based on requirements of the client. In case of a successful completion of one process, the user is given an option to either continue to the next level or to repeat the process. The evaluation is saved externally into a separate file for each user, which makes it possible to check the ratings later on, without the need to use the VR system. 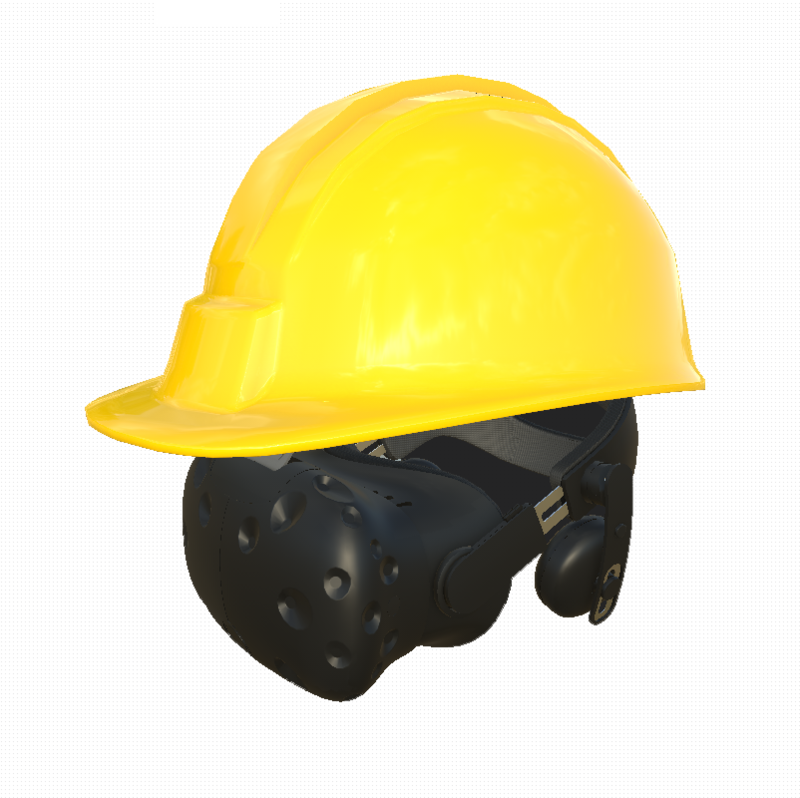 For a more detailed inspection there is an option to activate the video recording from the virtual environment, which records all the actions of the user over the whole VR training. The video recording may be used for additional monitoring or for separate statistic purposes. All the previous points describe existing software solutions built for our clients. The solution created is always based on the individual requirements of the customer and is therefore built on a very flexible and editable platform. There are practically no boundaries.